When you are in the hospitality business, you want each and every one of your guests to feel welcome and at home during their stay. 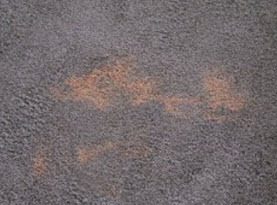 When they are faced with dirty or worn looking carpet, it can affect how they rate their stay at your establishment. Because your flooring is so important in the hospitality business, Carpet Dye-Tech is here to share some tips to help you maintain your commercial carpet and extend its life. There are five main categories that should be addressed when you are making a plan for your hotel carpet cleaning maintenance schedule. All five of these categories are equally important and you shouldn’t skip any of them. You should be vacuuming your carpet every single day in your hotel. This is by far the most effective and budget friendly way to extend the life of your commercial carpet. It is important when you are selecting the vacuums for your hotel that you choose a heavy-duty machine that is going to use industrial strength sucking power to remove any fine dirt and debris from deep within the fibers of the carpet. Soil containment is achieved by properly utilizing floor mats at all entrances and exits of your hotel. These floor mats will remove most of the dirt and debris found on the shoes of your guests before they even step foot in your hotel. Anytime there is a spill or a stain that appears on your carpet, it is essential that the spot is removed as soon as possible. 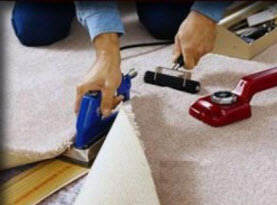 The longer a spill stays on the carpet, the deeper it seeps into the fibers and the harder it is to remove it. The high traffic areas of your hotel should be cleaned often to avoid damage to the carpet. This should be done quarterly to improve the appearance of your high traffic areas. Interim cleaning is done by professionals with the proper equipment to achieve the greatest amount of soil extraction from the carpet. When you have many guests in and out of your hotel each and every day, you will start to notice that some areas of your carpet are showing signs of wear which include fading and matting. Luckily, you can count on the carpet color experts at Carpet Dye-Tech to restore the look of your hotel carpets with our carpet cleaning and carpet dyeing services. We have the ability to match your carpet exactly so there is no sign of color correction taking place. 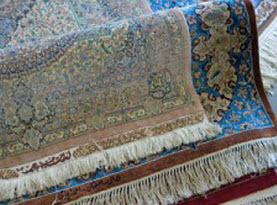 When you decide to have us restore your hotel carpets with our carpet dyeing services, you can expect heavy soiling, bleach spots and other issues such as fading to be completely washed away. 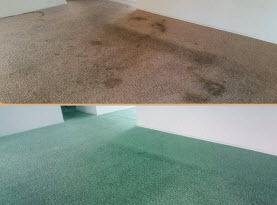 This is much more cost effective than replacing carpets and can leave you with results that are equally beautiful. Call us today!